There are two full-service outboard shops in George Town: Minns Water Sports and Brown’s Marine. Minns is a Yamaha dealer and Brown’s sells Suzukis. Brown’s can handle almost any size outboard boat with engines up to 350 horsepower. 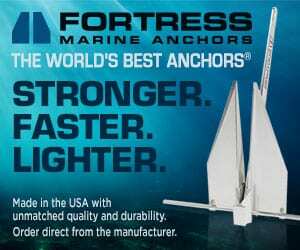 These outboard shops are especially important because they provide excellent services so far south of Nassau. One of the jewels of George Town is Diane Minns’ Sandpiper Arts & Crafts, a store with quality items for the whole family. When you are done shopping, step next door to the Driftwood Café or across the street to Peace and Plenty for lunch. You old timers may like to know that Lerman Rolle, “The Doctor of Libation,” still mans the bar at Peace and Plenty. Late April is when George Town becomes really enjoyable. This year the National Family Island Regatta is April 26-30. The regatta is great fun and one of the most photogenic events anywhere. 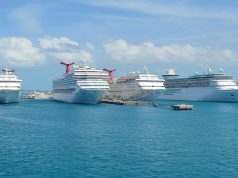 After the regatta most of the cruisers start to leave—some to head to the Caribbean for hurricane season and others head back to the U.S. For those who want peace and quiet, this is the beginning of the best cruising in Exuma and a great time to run out and back to the southeast islands. 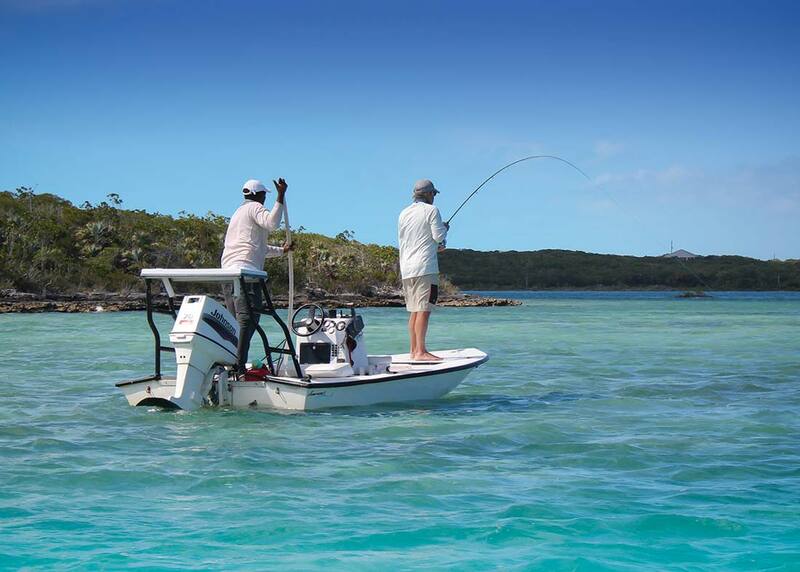 Great Exuma remains one of the very best locations for flats fishing, and there are excellent locations to fish in almost any weather. April is the beginning of the mating and nesting season for sea turtles in The Bahamas. Please keep a sharp look out as you travel along the ocean shores of all the islands. Loggerheads are especially vulnerable to boat strikes as they congregate to mate off their nesting beaches. 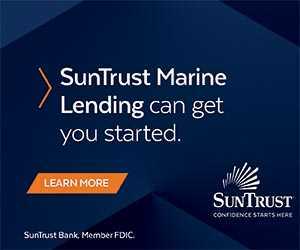 Sea turtle populations have grown slowly since the 2009 ban on sea turtle harvest in The Bahamas, so adult breeders are especially important if this trend is to continue. A reminder for all birders and wildlife enthusiasts in The Bahamas, especially the Abacos, the website, rollingharbour.com, continues to publish amazing photos and general information about birds and other wildlife around the Delphi Club on Abaco. 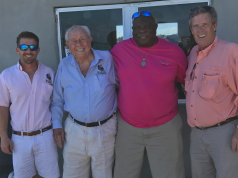 According to Roosevelt Nixon—owner/operator of the Farmer’s Cay Yacht Club & Marina—all mooring chains and lines have been replaced with new stainless steel chains and 3/4-inch lines, and the dock and seaport has been re-planked including new braces. That is very good news for those who enjoy Farmer’s Cay and want to moor safely at the dock or in the main channel with easy access to the Club—the restaurant is open from 9AM to 12AM. Roosevelt is always helpful and very proud of his cay. Call (242) 355-4017. The boundaries of Mariah Harbour Cay Land and Sea Park have finally been set. The park includes the southern part of Elizabeth Harbour from the south end of Stocking Island to Pigeon Cay (north of Little Exuma) and includes several important land areas. The park is known to include several endangered species such as piping plovers, iguanas, sea turtles, and a rich variety of other wildlife. Scientific surveys have also shown that this area is an unusually healthy nursery for crawfish. Mariah Harbour Park is a major addition to the national park system and ensures that Elizabeth Harbour and the surrounding waters are protected. Outreach efforts to engage stakeholders are underway and will be part of the process to determine an official management plan for the park. 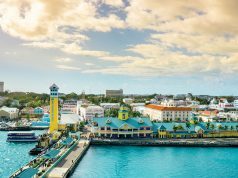 The Bahamas is among the world leaders in marine conservation, and hopes are that all visitors and boating friends obey Bahamian fisheries regulations and respect the extraordinary environment. Keep abreast of the latest fishing regulations for your location in the U.S. and Bahamian waters with the very useful app for smart phones fishrulesapp.com. This app is updated regularly and also has excellent fish identification guides. Previous articleFlorida governor recommends GPS emergency beacons.